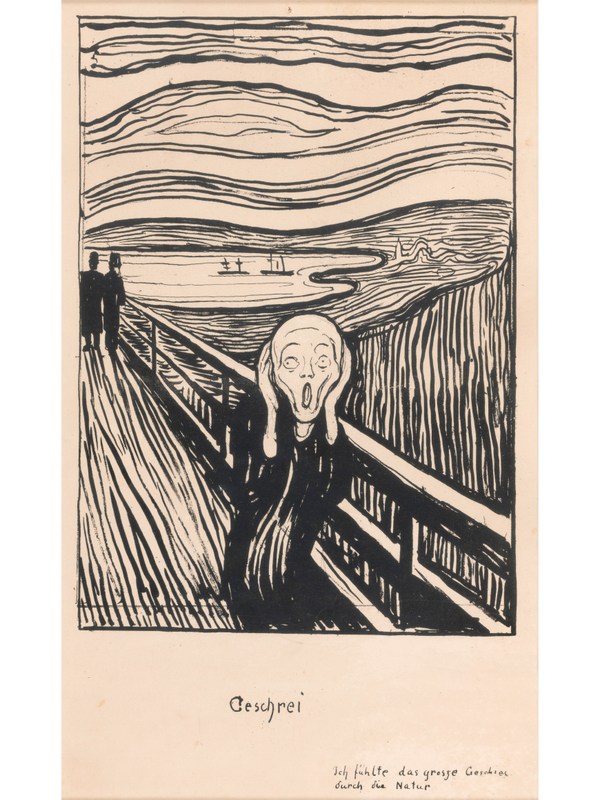 The exhibition explores Edvard Munch’s ability to convey human emotions. Across 83 works he depicts love and desire, loneliness, anxiety and sorrow. The “father of Expressionism” was able to convey universal feelings in a way that would become a whole new movement in art. “I will paint living people who breathe and feel and suffer and love.” Munch’s statement from 1889 would become his artistic manifesto. I will paint living people who breathe and feel and suffer and love. Edvard Munch. Queen Sonja quoted him in her opening speech, and noted that Munch lived up to his statement of intent. 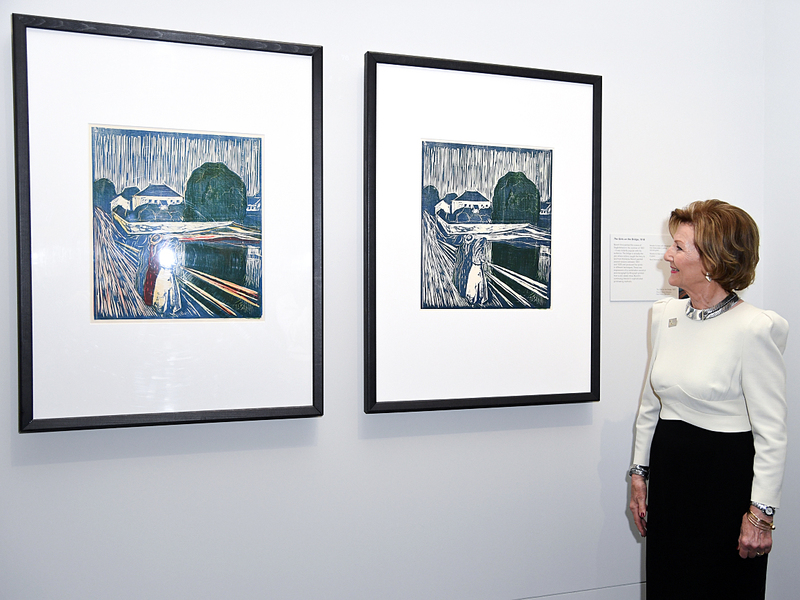 The exhibition is a collaboration with the Munch Museum in Oslo and includes 50 graphic works from its collection – the largest-ever international loan of graphic works by the Munch Museum. 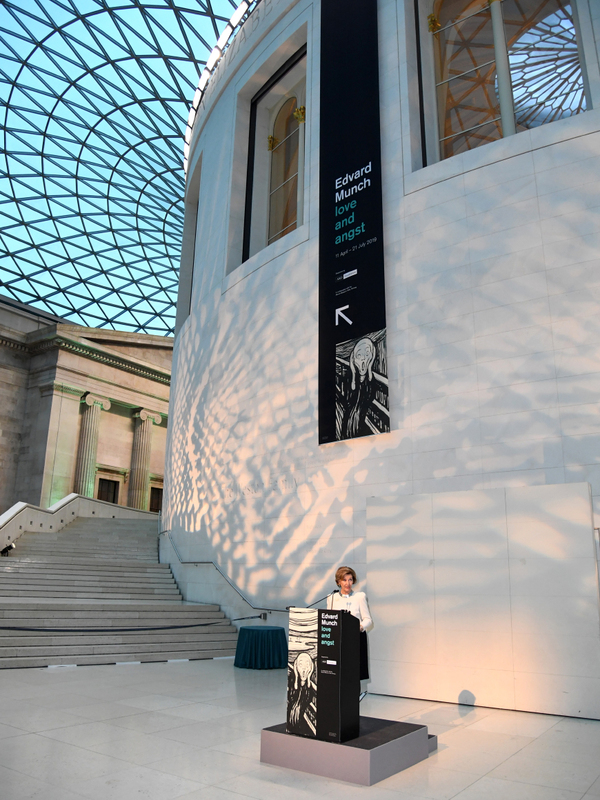 British Museum Director Hartwig Fischer and Munch Museum Director Stein Henrichsen followed the Queen at the speaker’s podium. The Norwegian author Karl Ove Knausgård, who is featured in an interview in the exhibition catalogue, spoke as well. 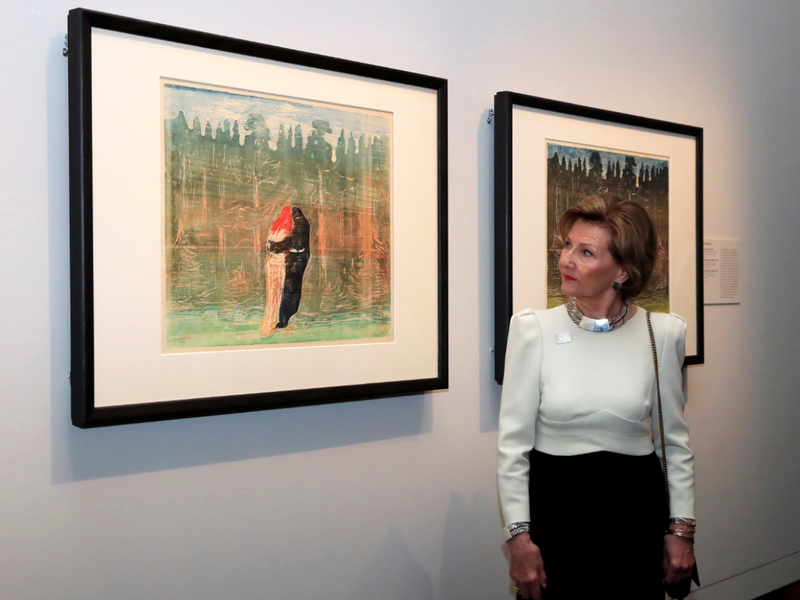 After the opening, Queen Sonja was given a tour of the exhibition by curators Giulia Bartrum and Ute Kuhlemann Falck. The exhibition is on show until 21 July 2019.